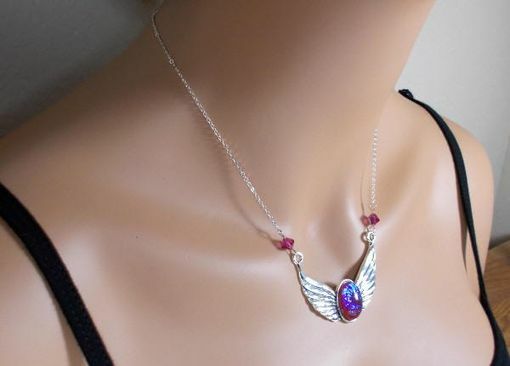 This is a lovely necklace! It measures 2 inches wide and drops 1 3/4 inches with the gear connectors. This stone is absolutely stunning! It's a deep red color with lavender "fire" that shimmers as you move the ring. 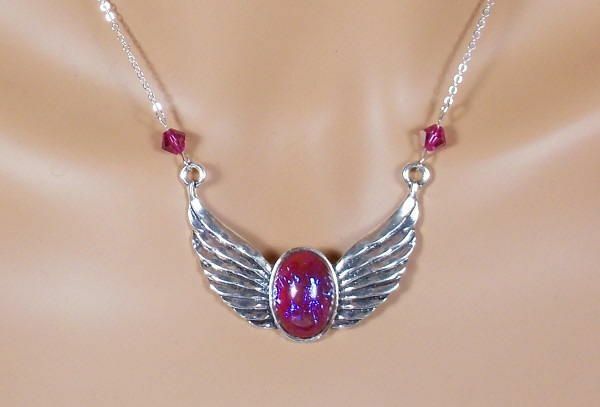 The wings setting is antique silver plated. It has a 13mm x 18mm Dragon's Breath opal set in the center and two fuchsia colored Swarovski beads attaching the chain. 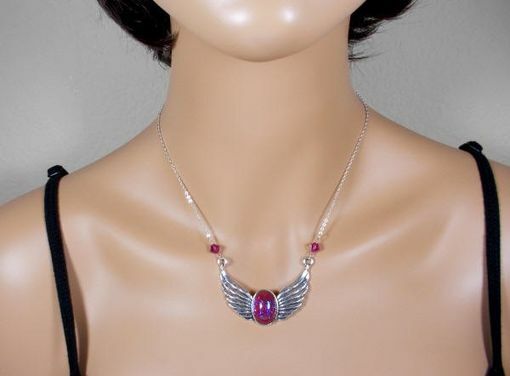 The chain is a flat link silver plated chain. Select your length.